Thanks. I got it figured. Now getting 1gbps connection to my PC instead of 100mbps but the speed I'm getting from my provider is about 400mbps download and 600mbps upload. The 2x Motorola MoCA devices all came with POE filters. I had bought one thinking they wont. So those buying the Motorola MOCA device take note. I'm not satisfied with the speed considering it could be faster. But I'm more than happy with it at the moment as our corner room has a speedier and more stable connection compared to wifi which gave me about 20-30mbps patchy connection. I can't direct without a splitter. Maybe I change the splitter outside my house to the one I have which is 5-1675Mhz, and see if the speed improves. Keep you guys posted. Direct from one MoCA to other MoCA measn NO SPLITTER! I recently have starhub done the moca setup for the Fibre TV. To my surprise, it is more laggy. I then ran the speed test under Netflix app in the starhub TV box. I get barely 19mbps only. Is it normal? Doesn't sound normal. Starhub did the moca setup for you? Lowest I got was 100mbps. Now trying to tweak to make it better. Probably change splitter outside my house. I disconnected starhub connection coming into the splitter. I tried with and without the POE seems the same only. Maybe if you explain your connection it will be clearer. Maybe u bought the cheapo DECA iso MoCA? Maybe u should try to connect direct to check how fast it can go? And can try changing the MoCA frequency. 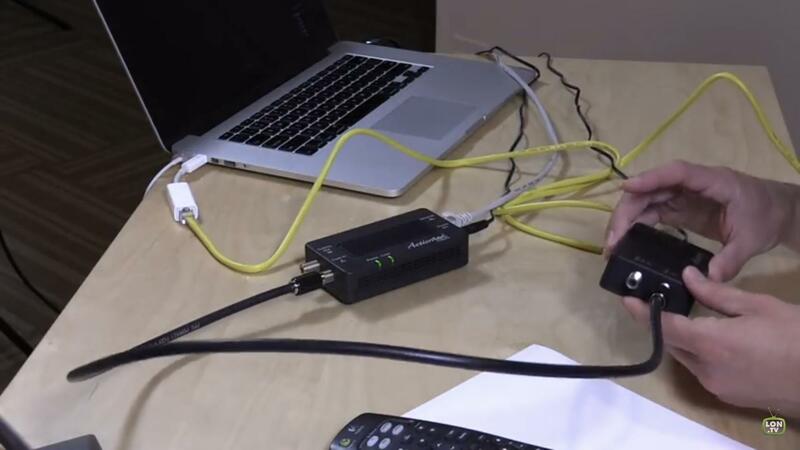 Add the POE at the splitter-in to maximise the reflected signal strength. Sorry, dont quite understand, Why Go through the hassle of using starhub or Singnet IPTV that need another cable connection? Meaning during Reno need to lay 2 lan cable in every room instead of just 1 to share the internet connection if want to watch starhub or singnet IPTV in every room. Why not just buy a andriod TV box in Sim Lim SQ and run Netflix from it via internet. For singapore TV show can install Toggle, can install NetFlix, Youtube. you can play game, work watch movies just by using 1 Lan cable. So now If I want to use my existing MoCA Cable in my house to all My 3 Bedroom with 1gb speed, I need to purchase 04x Actiontec Bonded 2.0 Moca adapters and pay starhub to come my house to open the lock box Outside my House to disconnect the cable going out and fill it with a terminator cap? Or I can just use a big screwdriver to force open the box myself? from what I see that Starhub cable outside is my property as it's paid with the HDB I bought. Router -> 01 Actiontec Bonded 2.0 Moca adapters will send signal to another 03 Actiontec Bonded 2.0 Moca adapters in the rooms and share the near 1gb speed? Do I need to replace the splitter and which splitter Freq should I buy to replace if I wanted to get the highest possible speed? Last edited by feintan; 21-03-2019 at 03:33 PM.. I think Starhub does not use MOCA but rather it uses EOCC/EOC. The EOCC or EOC is meant for Fibre TV. So the speed may not be great for Internet. Just one advice, do not buy any Android TV boxes with preloaded apps from Sim Lim Square. You will regret soon, high cost low quality hardware, dubious apps. If you need Netflix, buy Mi Box S from Lazada/Shower/Qoo10. It supports 4K Netflix. Non certified device will not be able to run Netflix at HD. The cost is around S$70-90 depending on offer. More info on Android TV boxes here. Bro.. the Starhub box outside your hdb, try see if you can simply lift the cover where the hinge is. I did that and the whole cover came out. Didn't need to force open anything. Splitter will be there at your Starhub Box outside your house going to each point in your house. I had 3 splits going to hall and 2 rooms. Hall MoCA connected to fiber router and my master bedroom connected to another MoCA device which is connected to my PC. I see many tech savvy guys here so maybe someone can help me. Can fibre broadband and fibre tv signals run on the same coaxial cable via EOC ? I am one of those affected by switch from cable tv to fibre tv in June. Starhub came to install EOCs last week. My wireless router is directly connected to ONT both on ground floor. One EOC was connected to ONT and another EOC is upstairs and connected to digital setup box for fibre tv. I want to move my wireless router upstairs but coaxial terminal downstairs is already used for EOC with fibre tv signals. Any suggestions what I can do ? is EOC adapter free from starhub ? Sorry, just to check, for landed properties, there is no need to put the Poe filter right? Since the coaxial is not shared. If need to put means I have to go outside my house and ask starhub to open the coaxial hub under a drain located 200m away, doesn't make sense right? There should be a SCV cable box within your property, or at the gate pillar, if you have done renovation. You can disconnection from there and isolate from SCV cable network. No need to involve Starhub.